The Non Gender Specific Everything Serum is a multi-tasking facial serum that blends over 17 vegan and cruelty-free ingredients to create an effective and inclusive formula for all genders and skin types. 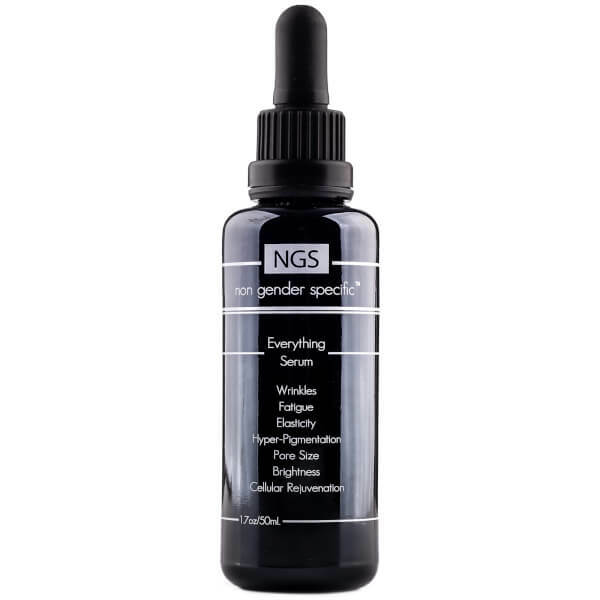 Tackling all major skin concerns, including wrinkles, fatigue, brightness and pore size, the fast-absorbing elixir has a silky smooth texture that's been specifically designed to appeal to all genders. Immediately brightening and firming the feel of skin, it works to refine the appearance of pores and leave skin looking rejuvenated and revitalised. 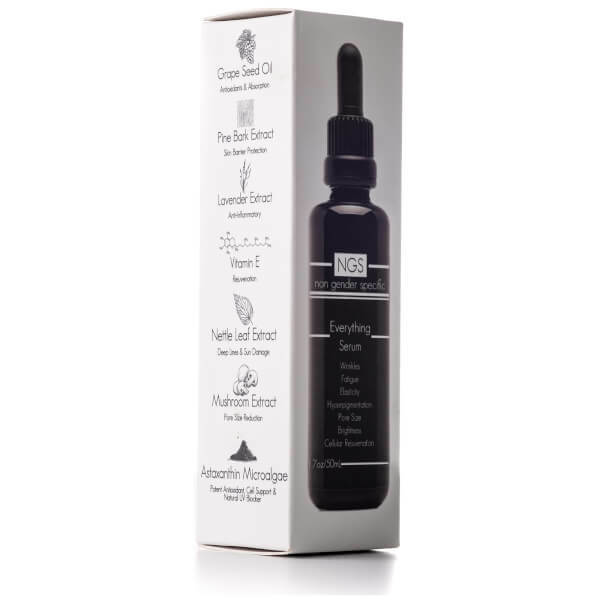 Contains a cocktail of beneficial ingredients, including antioxidant Grape Seed Oil, protective Pine Bark extract and refining Mushroom extract. Targets wrinkles, fatigue, elasticity, hyper-pigmentation, dark spots, pore size and brightness. Aplicar sobre la piel limpia por la mañana y por la noche. 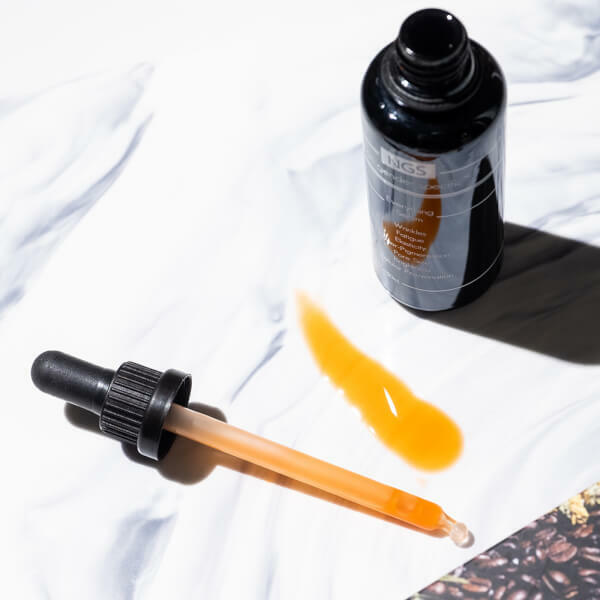 Aqua, Glycerin, Hydroxyethylcellulose, Caprylic/Capric Triglyceride (And) Humulus Lupulus (Hops) Extract, Leontopodium Alpinum Callus Culture Extract (And) Xanthan Gum, Marrubium Vulgare Extract, Hydrolyzed Vegetable Protein, Sodium Hyaluronate, Hydroxypropyl Cyclodextrin (And) Palmitoyl Tripeptide-38, Citrus Limon (Lemon) Peel Oil, Pinus Pinaster Bark Extract, Astaxanthin, Vitis Vinifera (Grape) Seed Oil, Tamanu Oil, Coprinus Comatus (Mushroom) Extract, Algae Extract, Lemon Peel Extract, Lavender Extract, Nettle Leaf Extract, Rose Extract, Phenoxyethanol (and) Ethylhexylglycerin.